See the Area from entirely new perspectives! Use your smart phone camera to capture and upload images of wildlife to iNaturalist, to participate in a survey of our 800-acre nature and wildlife education area. iNaturalist is pretty powerful and has a number of virtues. One of the biggest is in identification. Someone with no idea what they are looking at can take a picture with a phone or camera equipped with GPS and upload the picture to iNaturalist. The GPS data plots it on the map and sometimes within minutes the image is identified. 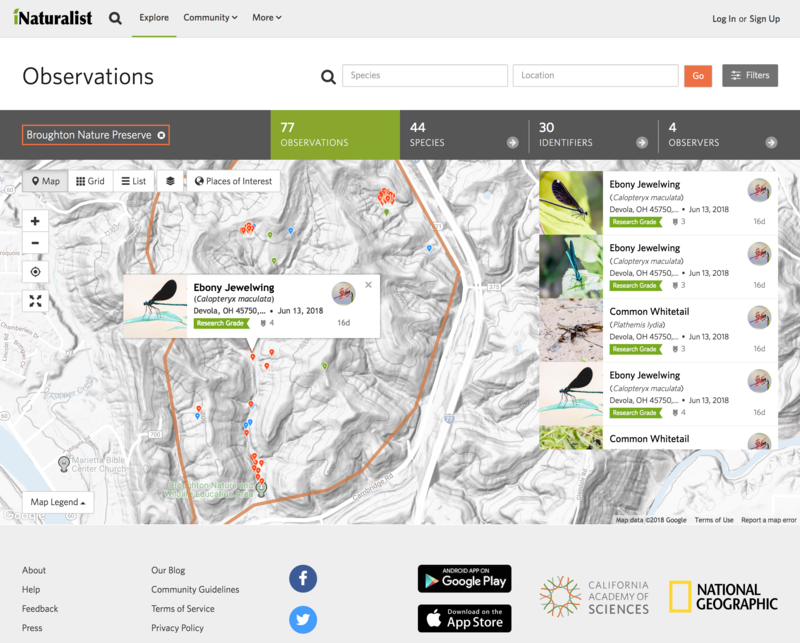 See the iNaturalist map and species identified so far and download the free app HERE. Use the app to identify and catalog the wildlife you encounter. Who knows what you might discover! Local educators, naturalists, students and wildlife enthusiasts can create their own projects at iNaturalist. Thanks to the Marietta College Department of Biology and Environmental Science for this information!